When Florida voters were asked to ban greyhound racing in the last election, the industry tried to convince animal lovers that banning the sport was actually a bad thing by fear mongering about tens of thousands of dogs who faced being killed because they had nowhere to go. It was a lie. Rescue groups are “inundated” with adopters, many more than dogs available. Racing isn’t the only way greyhounds are exploited for profit. They are also used in “closed colony blood banks,” where they are forced to be bled again and again, over and over. New legislation aims to ban the practice in favor of a community-based, voluntary donation system which is actually more effective at delivering needed blood to patients. PETA is not only hypocritical when it comes to the lives of animals, it is hypocritical when it comes to the First Amendment rights of animal advocates. A court in California denied PETA’s demand that I reveal the names of PETA employees who spoke to me on condition of anonymity about PETA’s killing of animals, rejecting its argument that animal advocates don’t have the protection of rights encapsulated in the First Amendment. This is a victory for animals, investigative journalism, new/non-traditional media, and the First Amendment. There’s been a 90% drop in pound killing since the 1970s when over 20 million animals entered the system and over 16 million were put to death. But even then, killing animals could have been avoided. Here’s why, and more importantly, why it matters 50 years later. Virginia is on the map! The following communities are part of the 90% Club: Alexandria reported a 94% placement rate for dogs, 94% for cats, and 94% for rabbits and other animal companions; Augusta County, Staunton, and Waynesboro reported a 98% placement rate for dogs, 92% for cats, and 100% for other animal companions. And the two newest Virginia members: Shenandoah County and Loudoun County. Shenandoah reported a 92% placement rate for cats and 96% for dogs. Loudoun reported a 90% placement rate for cats, 90% for dogs, and 94% for other animals. 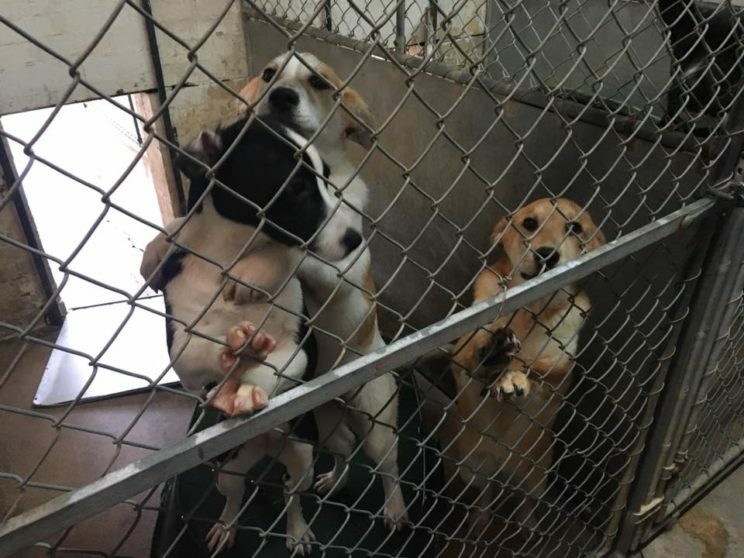 On the opposite end of the spectrum is Marshall, TX, where, “Approximately 228,000 dogs and cats have entered the shelter since it was built, and approximately 70 percent of the puppies, kittens and adult animals have been killed within a matter of several days… Many owners come too late to retrieve their pets and find that they are already dead.” But change can happen if advocates remain tenacious. And speaking of tenacious and change, there was a time when the Loudoun Co, VA, pound was no place for a little dog, even one described as “lovey, “wiggly,” “gentle.” Many were killed as a matter of policy. Today, thanks to the tenacity of No Kill advocates, Loudoun County is a member of the 90% club. In 2018, it reported a 90% placement rate for dogs, 90% for cats, and 94% for other animals. Here’s the story of a little dog, his death, how far Loudoun County has come, and why advocates should never give up in their fight for a No Kill community.